Time in way: 2 h. 25 min. Transfer from Antalya to Alanya is the best way for people who wants to travel by yourself or save some money. If you booked transfer, you could get to your hotel in comfortable way and it doesn’t depend on where this hotel is situated. 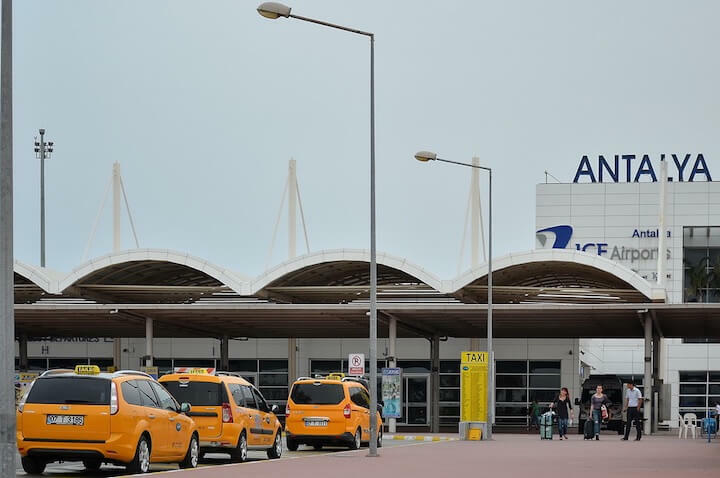 What are there the best ways to get from the airport in Antalya? There are few ways to get from Antalya to Alanya. Your decision depends on time, that you can spend on trip and money. There are many drivers near the airport, who are ready to take you to the farthest place in Turkey, twenty four hours a day. You will be shocked, how many drivers there are and all of them want to offer you their service. You should understand that they want to make some money and more the better. So the price will be very high and you should bargain with the driver that you choose. the cab will take you to the town quickly and you shouldn’t think about stops. Very high price. 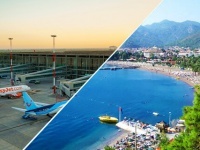 The distance between Antalya and Alanya is about 150 k, so the price will be about 80-100 euro. You can’t be sure that you are in safe. There are many private drivers and you can’t be sure in their personalities or car. Other nuisance: this driver hardly has cradle for your child, maybe his air conditioner is out of order or he can smoke in the car. You can’t know all these things beforehand. For people, who want to save money, or who are brave enough, can use this way. There is a regular bus from Antalya to Alanya. It goes from Antalya Otogari, it’s a bus station that it situated on Yeni Doğan Mh. You can make new friends. who knows maybe you will hear native language? It’s wonderful opportunity to learn better about Turkey from unknown side. If you chosen this way you should be ready for long trip and many stops. There is no bus that takes you to hotel, so you will have to carry your luggage alone or hire cab in the city. You can choose different kind of car and tell the amount of children. If you go with company, you can order minibus for about 15 persons. It’s comfortable and safe. There are radio and air conditioner. Speed. You will be near hotel in less than 2 hours. It’s perfect for not big companies. The price of booking minibus for about 7 persons are about 75 USD, so it’s about 11 USD per person.